Gailani Designs is a Hunter Douglas Dealer, We carry all Hunter Douglas products. Call us for free estimate (630)420-0800. Scary Windows will not scare us! October is the season of cold weather, vibrant colors, apple orchards, pumpkin picking, and Halloween! While your children are dressing up in fun and scary costumes, take some extra time this month to dress up the scary windows in your home. I’m talking about those difficult, large or odd-shaped windows that don’t have an easy fix when it comes to shades and blinds. Don’t let corner, bow, bay, octagon, arched, trapezoid, or high windows trouble you! There is an effective and affordable way to dress every single kind of window and we are not afraid to take up any window challenges you may have for us! The window treatment you choose for your more elaborate décor projects should accentuate the natural beauty of that window and its view. You don’t want to hide the architectural details of the window’s design. Work with the shape, don’t hide it! 1) Hard-to-reach windows don’t necessarily need to be dressed since they are usually too high to impede on your privacy. If there are light control issues, i.e. if the sun hits too harshly, look into motorization! 2) Skylights are beautiful assets to any room, but they need to be covered to prevent any harmful rays from destroying your furniture. Again, adjustable shades are ideal here. 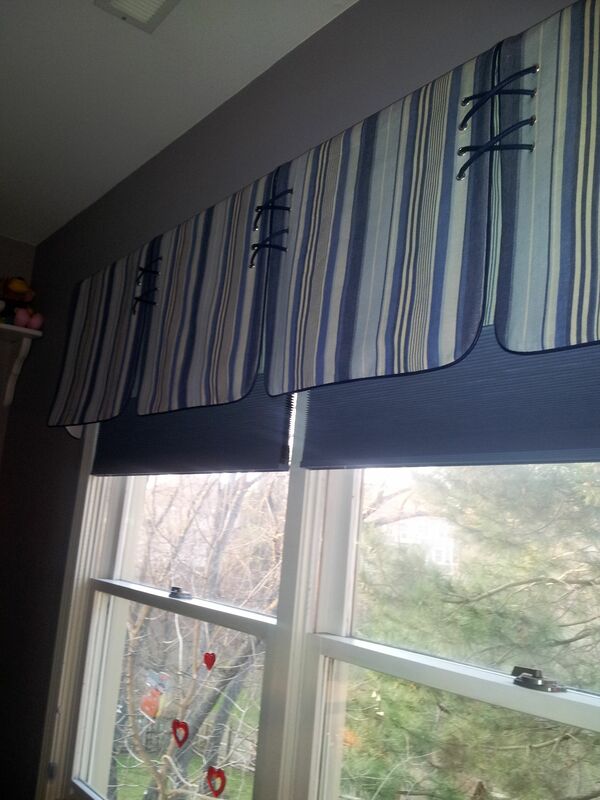 Look into remote-controlled shades, or simple cellular shades that can be opened and closed with a long wand. 3) Most shutters and blinds can be made to fit any irregularly shaped window. Just call in an expert if you aren’t sure of what to do. We are readily available to help you find a solution that suits you! Hunter Douglas has products for every taste and budget. In the resent years there has been so many new product, new innovative designs and gorgeous fabrics that fits any decor. Whether the clients are on limited budgets, or they desire luxurious looks and willing to spend more on their homes, Hunter Douglas has the products that will satisfy their needs and life style. The new roller shades, The modern Vignette shades, the Duette Architella, the wooden shades Provenance and so many more, all available to our clients. Plantation shutters not only add beauty, elegance, poise, and refinement to any home, but they also come at a great value! The rich, wooden shutters can be added to any type of interior space, whether the style is traditional, transitional, eclectic, or contemporary. In the past, only the rich and wealthy were able to afford them. Now, shutters have the look and feel of expense without the overwhelming price. Since shutters are permanent unlike other window treatments, they will easily add value to your property when the time comes to sell your house. Wooden shutters are very appealing to potential home buyers. They are considered a home addition and will help you sell your home faster, especially in a market like the one we have today. Although the initial cost might be high, in the long run, you will find yourself justifying the initial investment because the shutters really do provide an economical solution. Call us for free estimates and ideas(630)420-0800. The most desired shades in the Chicago land area! for it’s energy saving features, quality, and elegance! For a free estimate on all Hunter Douglas products, draperies, shades shutters and motorization call (630) 420-0800.